Hot Wheels(R) Teams with Danica Patrick and JR Motorsports to Unveil Custom NASCAR | Mattel Inc.
ANN ARBOR, Mich., Aug 12, 2010 (BUSINESS WIRE) -- Hot Wheels(R) was joined today by JR Motorsports' team driver Danica Patrick to debut her "Designed by Hot Wheels(R)" paint scheme to be featured on a NASCAR vehicle at the Michigan International Speedway. Hot Wheels(R) and Patrick also offered a sneak-peak of the "Keys To Speed" national retail promotion featuring a television campaign starring Patrick, which launches in September 2010. At this weekend's CARFAX 250 race, Patrick is driving her #7 Chevrolet racecar with an entirely new custom paint scheme featuring the iconic Hot Wheels(R) red and orange flames known throughout the world. "Teaming with JR Motorsports and Danica Patrick embodies our commitment in delivering thrilling vehicle experiences through best-in-class partnerships," said Simon Waldron, vice president Wheels Marketing at Mattel. 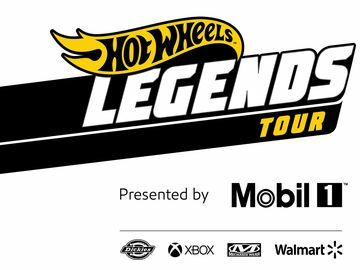 "From the one-of-kind Hot Wheels racecar that's taking to the track this weekend, to our 'Keys To Speed' promotion, Hot Wheels continues to engage our fans in new and entertaining ways." 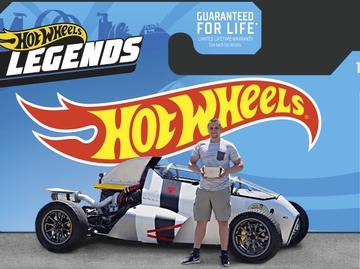 In addition to this on-track partnership, Hot Wheels(R) is launching a unique national retail promotion with Patrick that gives consumers the "keys to speed." "Keys" will be included in various cars, playsets, giving consumers a chance to instantly win one of hundreds of prizes. For more information about Hot Wheels(R), JR Motorsports or Danica Patrick, visit www.HotWheels.com, www.dalejr.com or www.DanicaRacing.com. JR Motorsports is the management company and racing operation for Dale Earnhardt Jr., NASCAR's seven-time Most Popular Driver and winner of more than 40 NASCAR-sanctioned races. JR Motorsports competes in multiple racing divisions, including the NASCAR Nationwide Series. In 2008 JRM enjoyed a breakout season with four Nationwide Series victories between its two teams. The company followed suit with four more wins in 2009. The JR Motorsports facilities are based out of Mooresville, N.C., and include the JR Nation retail store, Hammerhead Entertainment, and DEJ Realty.